Click on the Video tab to watch singer Chris Daughtry to a back flip on his In-Ground Trampoline. 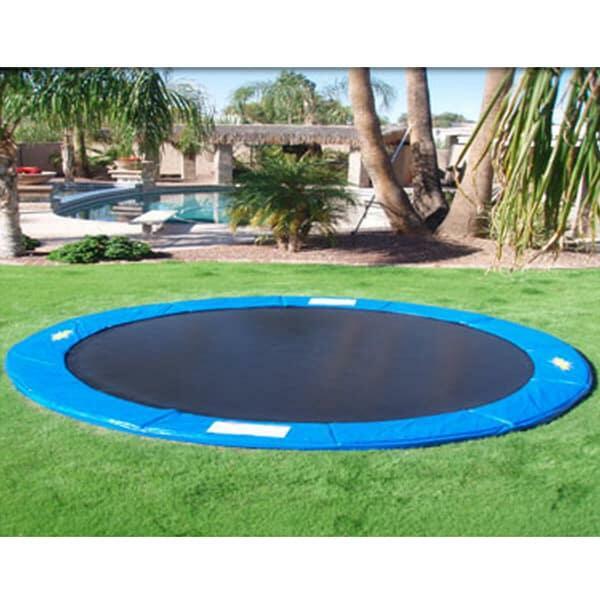 Try a visually attractive and safe substitute for the typical trampoline experience with the 15' In-Ground Trampoline from In-Ground Trampolines! 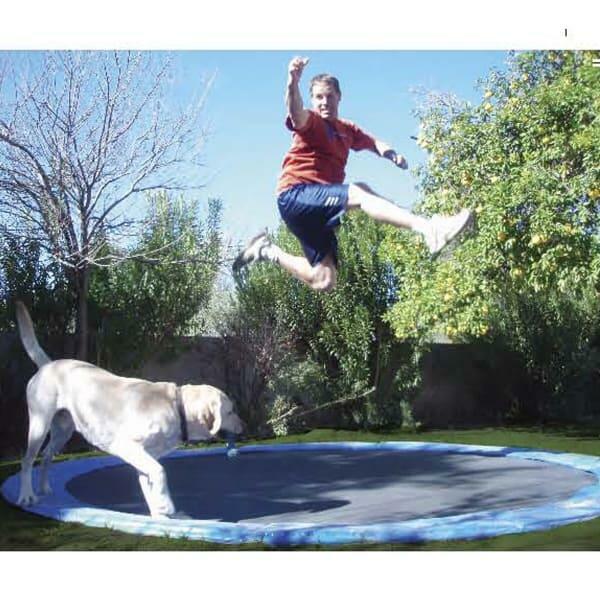 Placing a trampoline in the ground is a brilliant innovation that will reduce injuries, since the jumpers are closer to the ground. That means if they happen to fall off, they avoid falling two or three additional feet. 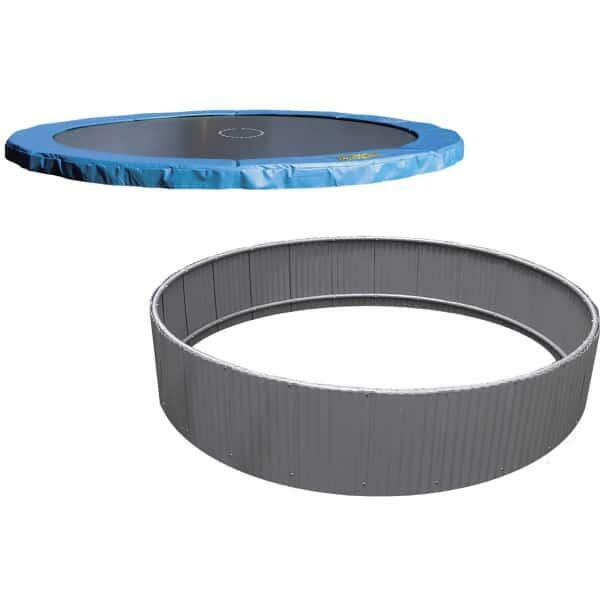 And not only does placing the trampoline in the ground reduce danger, but it also removes the large profile of a trampoline from the backyard (additionally, it will never blow away in the wind). 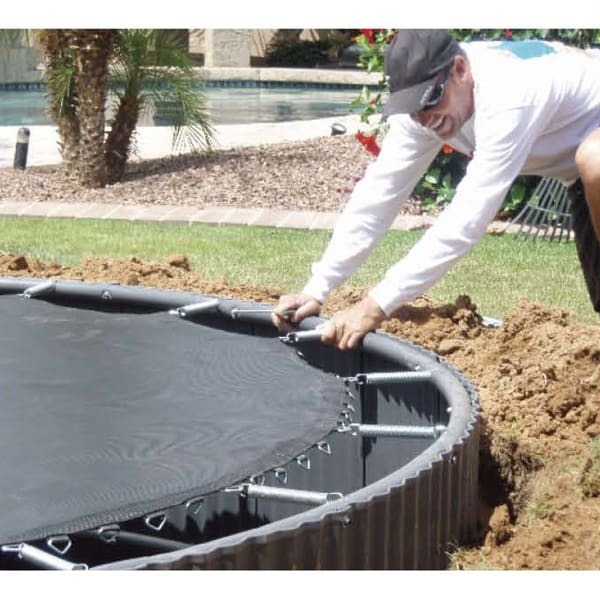 Installation is undemanding with the In-Ground system: dig a hole, drop the trampoline model into the hole and backfill the soil to cover the frame. The entire process is clear-cut, uncomplicated and simple! This item requires freight delivery. This shipping method uses a full size semi - truck and product can be delivered to a street side location. A representative will call to schedule your delivery which will require a signature upon receipt. Most delivery times within the Continental U.S. range from 5-7 days on in stock merchandise. 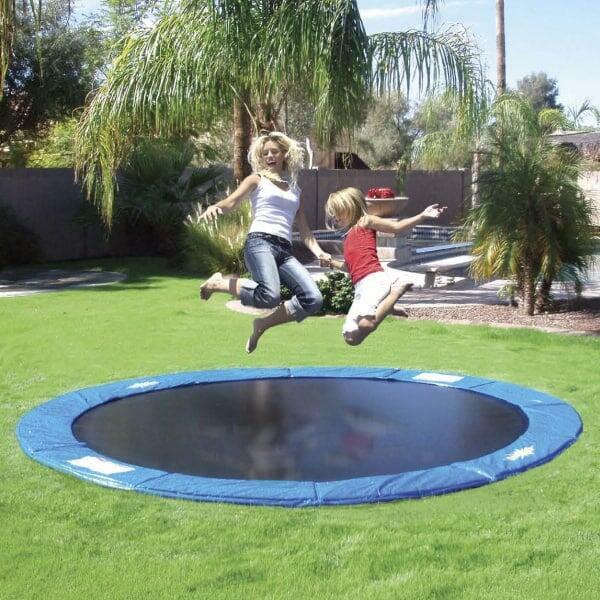 Special order trampoline orders range from 2-6 weeks depending on manufacturer.